This module samples a digital pin, performs a debouncing algorithm and exposes the results to its output ports. This module samples a digital pin, performs a debouncing algorithm, toggles its state and exposes the result to its output ports. This module samples a digital pin, performs a debouncing algorithm, toggles the gain between the gain input or the default gain and -1.0, and exposes the results to its output ports. 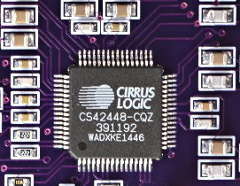 This module samples a row of pins while sending signals to columns pins, performs a debouncing algorithm and exposes the results to its output ports. 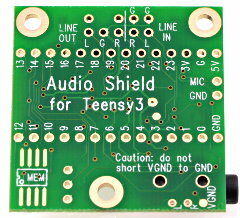 This module samples only one analog pin and decodes the buttons pressed. Any combination of buttons can be pressed at the same time. The module performs a debouncing algorithm and exposes the results to its output ports. From 4 to 6 buttons can be chained, depending on the ADC's resolution. This module samples only one analog pin and decodes the buttons pressed from a resistance ladder. Only one button can be pressed at the same time. The module performs a debouncing algorithm and exposes the results to its output ports. This module samples 2 analog pins and decodes the signal to emulate a gear shifter. 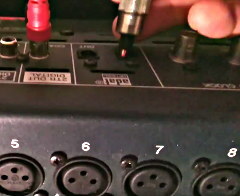 Samples analog input using the built-in analog to digital converter. This module samples data from the ADC to its output port. 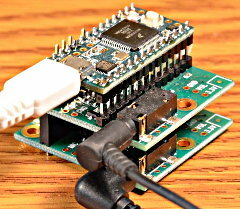 analogRead() must not be used, because cAnalogInputModule is regularly accessing the ADC hardware. If both access the hardware at the same moment, analogRead() can end up waiting forever, which effectively crashes your program. Samples temperature from a DS18B20. 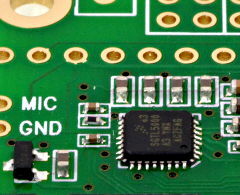 This module samples temperature from a DS18B20 one wire temperature sensor. Get a serial number from a DS2401. 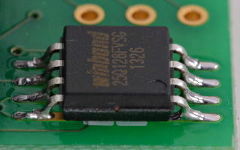 This module reads a unique serial number from a DS2401 one wire device. Samples 9 DOF from the Teensy prop board. 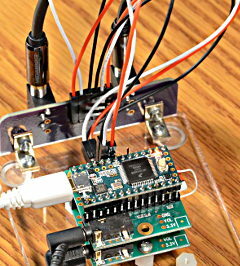 This module retreives accelerometer, gyroscope and magnetometer data from the Teensy prop board. 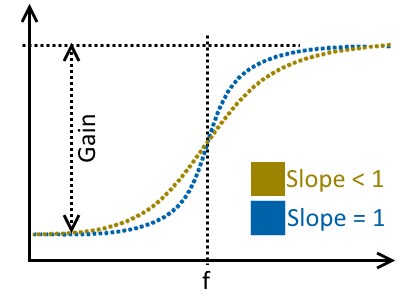 The sample rate parameter is the rate at which data is fed into the module. 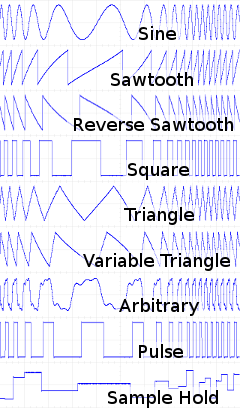 Decodes quadrature+index signals from a quadratic encoder, using interrupts. Decodes quadrature+index signals from a quadratic encoder, using hardware timers for A and B signals and interrupt for index signal. 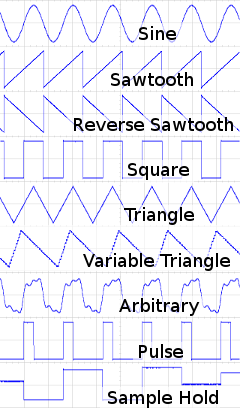 Debounces and decodes quadrature signals from a quadratic encoder button, using polling. This module expects 1 or 2 pulses / detent. Debounces and decodes graysignals from a rotary encoder button, using polling. 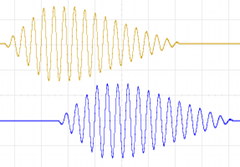 This module expects 1 pulse / 2 detents (like the encoders from Bourns CTS288 family). Generates increment and decrement pulses from an encoder. This module exposes the result to its output pin. Transmit analog signal using Arduino's analogWrite. The output voltage has DC level. Some applications require a DC-blocking capacitor. If unsure, a 10µF is usually a safe value to use. If an aluminum or tantalum capacitor is used, the positive terminal should connect to the output pin. 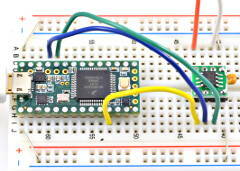 Generates a hardware PWM using MCU's pins. 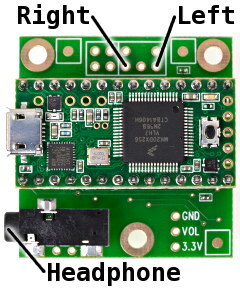 Depending on the MCU, up to 3 pins can be used (based on the same clock). 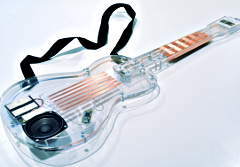 This object has no functions to call from the Arduino sketch. 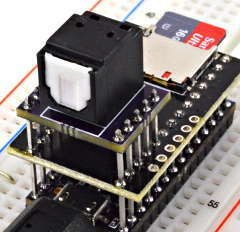 It simply streams data from the its input ports to the PWM pins. Generates 2 phase stepper pulses. This module expands data comming from its input port to the output port. 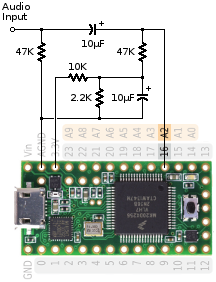 This module packs any type of input to one variable length output. This module packs a 6 axis float input to a special buffer. This module splits incomming buffer in several buffers of split size. This module splits merges incomming buffers in one buffer. This module packs bits from its multiple input ports to one variable length output. 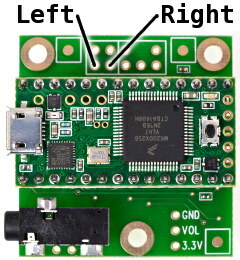 This module sends data from its input port to the Wheel (display and rumble), receives data from the Wheel (buttons, etc) and sends it to its ouput. Based on code from Mike and Darknao's firmware. You can find Darknao's firmware here. And you can donate at the end of the page. Sends a buffer of RGB values to a RGB led strip. Sends a buffer of RGB values representing input level. Sends a buffer of a RGB value representing the status input level. Prints to a buffer the "Text High" message when input is high, and "Text Low" when input is low. 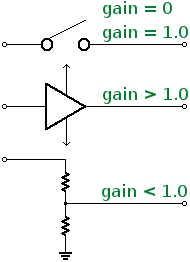 Compares the 2 inputs and sets output to high if Input #1 > Input #2. Default value can be used if you want to compare a signal to a fixed value. Operates a logical Not on the input port. Operates a logical Or on the input ports. Operates a logical Not-Or on the input ports. Operates a logical And on the input ports. Operates a logical Not-And on the input ports. Operates a logical Xor on the input ports. Operates a logical Xnor on the input ports. Multiplies the input with a gain. Adds an offset to the input. Filters the input with a gain. 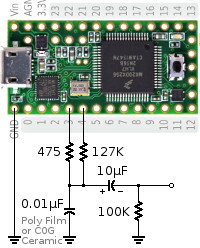 Transforms 9 DOF imu data to orientation. 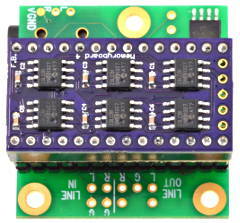 This module transforms accelerometer, gyroscope and magnetometer data into roll, pitch, yaw and quaternion orientation info. This module let you add custom code to the setup() function. This module let you add custom code to the main loop() function. 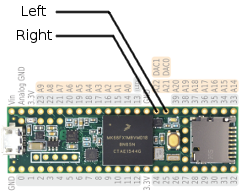 Normally, this module does not need drivers on the host computer, except for the serial HID device that may be created along with this object (depending on the platform and on the type of usb you choose if it's a Teensy). 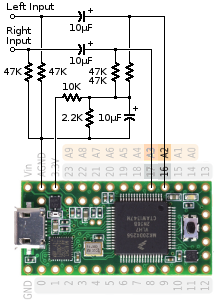 Receive DC signal using the built-in analog to digital converter. 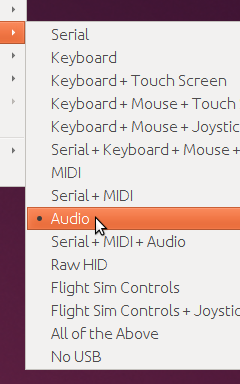 Pin A2 is used for audio input. 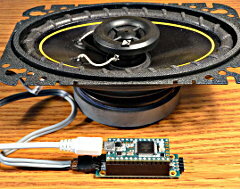 Transmit Node Blue Data to an audio module. This object has no functions to call from the Arduino sketch. It simply streams data from its Node Blue s16 output port to an audio stream. Transmit 16 bit mono audio to a Node Blue module. This object has no functions to call from the Arduino sketch. It simply averages audio data from an audio stream and send it to a Node Blue module. Combine up to 4 audio signals together, each with adjustable gain. All chanels support signal attenuation or amplification.